Rincon de la Vieja, the largest volcano in the country's northwest, comprises a remote volcanic complex in the Guanacaste Range. At least nine eruptive vents are located within a 15-kilometer-wide caldera. The park has a variety of wildlife, such as over 300 species of birds; mammals include cougars, monkeys, kinkajous, jaguars and many more. One of the biggest benefits of this wild area is the protection of the hydro graphic river basins. In this park exists probably the mayor population in wild state of the "Guaria Morada", the national flower. 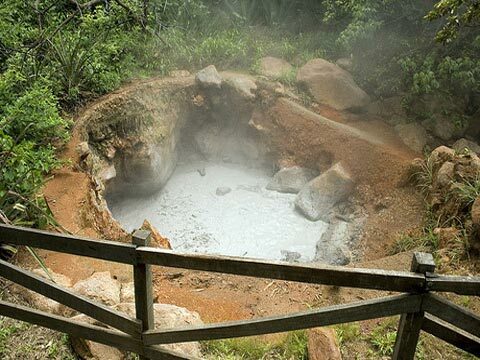 Las Pailas and the Hornilllas thermal fountains give place to hot broken waters, lagoons occupied by small depressions in which the water boil continually, orifices in which vapor flow elevates during the rainy season and small mud volcanoes of different shapes. Las Baulas National Marine Park: The leatherback turtles (baulas) are the largest marine reptiles and one of the most endangered. Las Baulas National Marine Park (Parque Marino las Baulas) is located on the Pacific coast of Costa Rica near the town of Tamarindo. It supports the largest nesting colony of leatherback sea turtles (baulas) on the Pacific Coast, with a population size of about 800 female turtles nesting per year. Nesting season is approximately November through April. The National Park is comprised of the 50-meter zone of four beaches: Carbón, Ventanas, Grande and Langosta, as well as the Tamarindo estuary and mangroves. 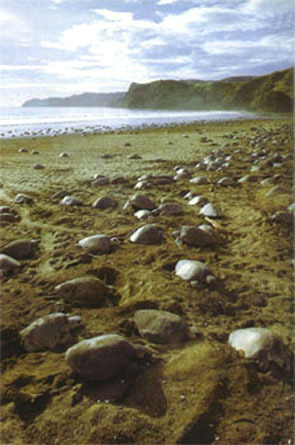 This park protects Playa Grande, one of the most important sites of the planet for laying eggs of the baula turtle. Also in Playa Grande some lora turtles occasionally, lay its eggs. 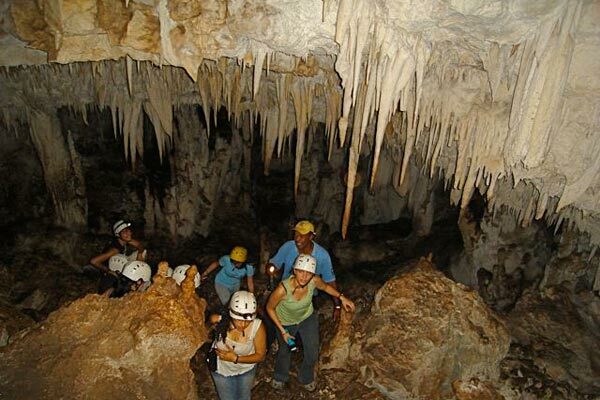 Barra Honda is located in Guanacaste, It has a network of caves in limestone formation, which have been explored by 50% of scientists and cavers. 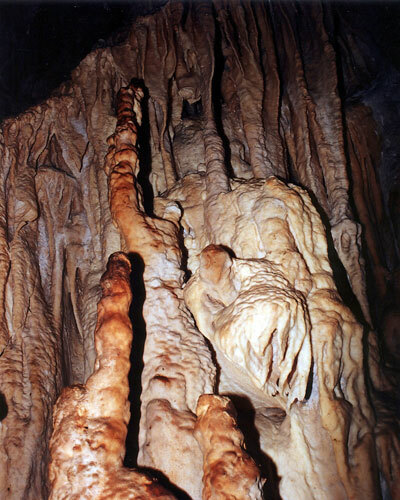 19 caves hasve been explord, which have great attractions and beautiful ground, with fancy shapes created by the action of water on calcium carbonate (stalactites, stalagmites). 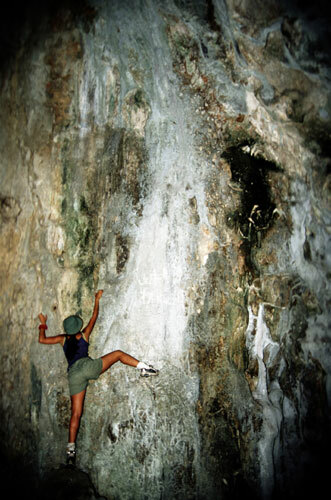 Currently, only the Terciopelo Cave is open to the public, as is the adequate conditions for inexperienced visitors. This cave is ideal for adventure tourism. 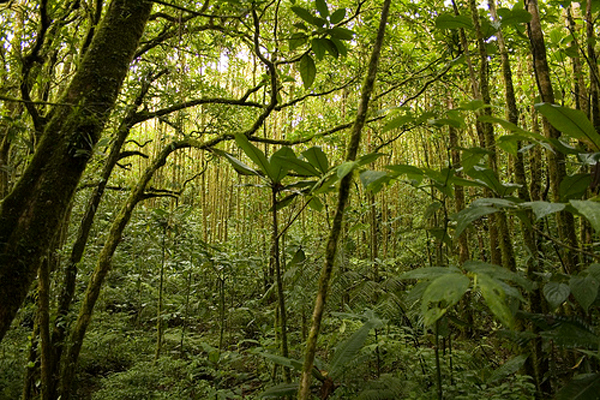 Palo Verde is located in Guanacaste , at the southwest of Bagaces town. Among the prominent tree species include palo verde, espavel, spiny cedar, and lignum-vitae ron ron. 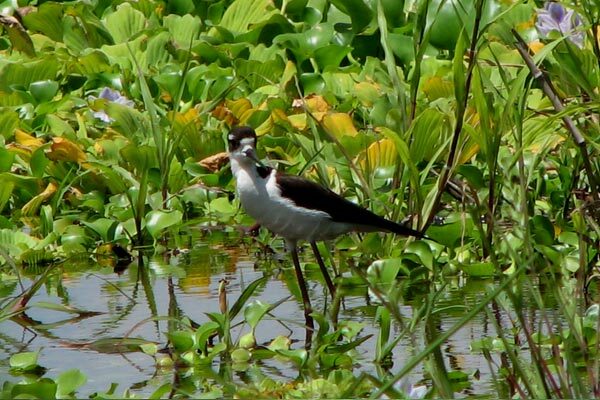 Furthermore, the highest concentration of waterfowl and vadeadas native or migratory, which include endangered species. 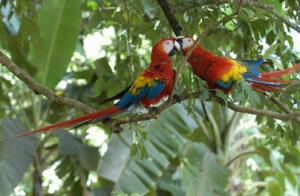 This area is one of the best for bird watching in Central America. 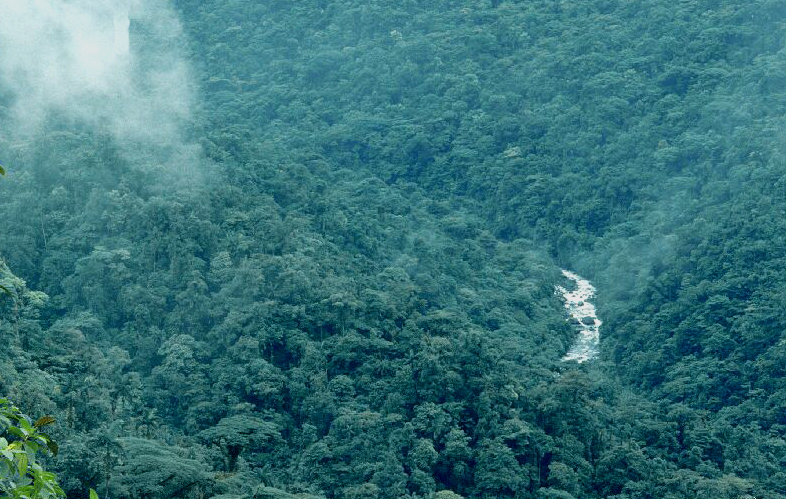 Monteverde cloud forest is located in Puntarenas area, it is humid, misty and cloudy, with temperatures ranging from 15 to 22 degrees Celsius (59 to 77 degrees Fahrenheit). Annual rainfall averages around 3,000 mm or 117 inches. 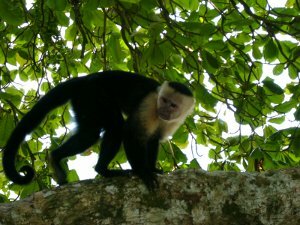 Monteverde protects 130 species of mammals, 500 species of birds, 120 species of amphibians and reptiles as well as 3,000 species of plants. Many of these species are endemic. It has excellent trails for hiking and exploration. 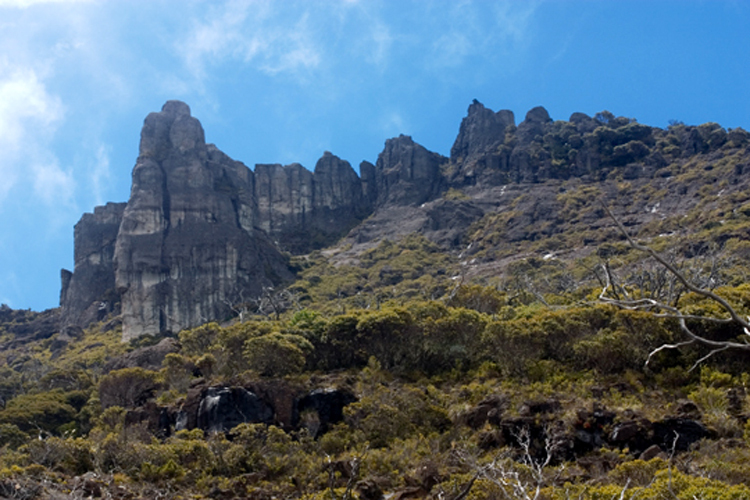 Due to the fragile nature of this reserve, a maximum of 120 people are allowed on a single trail at the same time, which are often bordered with exotic flowers such as 'hot lips' and a variety of ferns and plants. Carara is located between Orotina town and Jacó Beach. 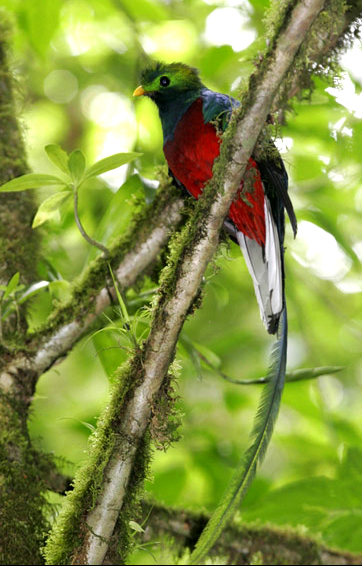 Among the most outstanding wildlife, find peccary, giant anteater, ocelot, monkey faced, and the scarlet macaw. Some of the entities listed animal species are endangered reachble extisión or small populations. This park has many vestiges of the pre-Columbian indigenous occupation, which to date are not open to the public, admission is restricted and is possible only with permission of the administration. Manuel Antonio National Park is perhaps the most visited park in Costa Rica. There are good chances that while hiking you will see monkeys and other animals. Although Manuel Antonio is Costa Rica's smallest national park, the breath taking beauty and diversity of wildlife in its 6.83 km² is unequaled with 109 species of mammals and 184 species of birds. Scuba diving, snorkeling, sea kayaking, mountain biking, and hiking provide great opportunities to experience the tropical wildlife that enriches Manuel Antonio, arguably one of the country's most beautiful and protected costal areas. Corcovado is one of the few places on earth that you can surely call paradise. It's the region that National Geographic has described as "the most biologically intense place on earth." The park is located in the pacific coast, in the Península de Osa, Puntarenas. It has very humid forests with 500 species of trees in the whole park, which is the fourth part of all the tree species in Costa Rica. Corcovado also protects various threatened plant and animal species, and is known to have about 124 species of mammals (over 50 bats); 375 species of birds (perhaps 5-8 endemics); 117 species of reptiles and amphibians (2 crocodiles, 4 sea turtles); 66 freshwater fish species; and 70 species of marine crabs. Chirripó National Park is an enchanting and awe-inspiring expanse of rugged peaks and rock formations, vast valley and glacier lakes, a place that will touch the soul of anyone who braves the challenge of ascending its towering heights. Chirripó Peak which is the highest in the Talamanca Mountain Range, reaches a height of 3 820 meters(12,530 ft.) and is the tallest mountain in the southern part of Central America. 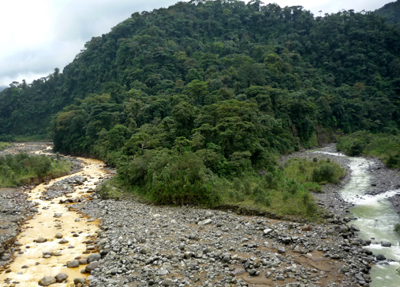 It protects forested areas in the southern Talamanca Mountain region, south of Tapanti National Park. Braulio Carrillo National Park is located in the province of Heredia and has two stations in Quebrada Gonzalez and Barva volcano. 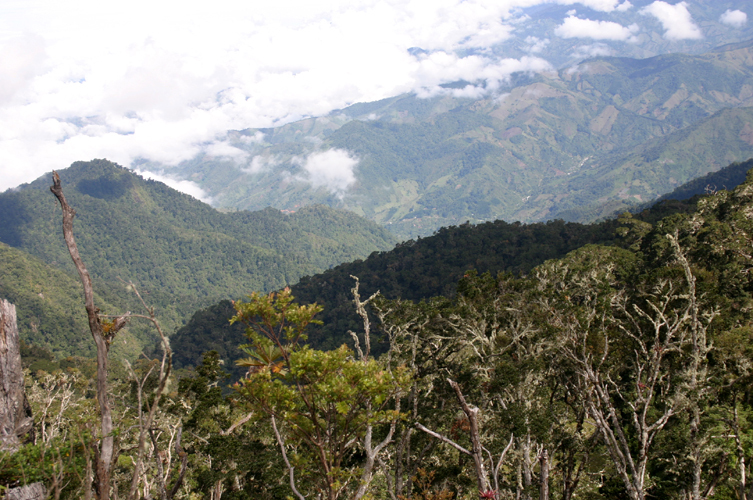 La Quebrada González ranger station is located 2 km east of Rio Sucio, on the road to Guapiles. It has a very humid climate, which characterizes an evergreen forest, which makes the place a special point for observation and study of plants and animals. Within its hydrological potential, which excels the Rio Sucio haul minerals waters of volcanic origin, causing its characteristic color.Barva Volcano station is formed by a volcanic structure about 100 km. 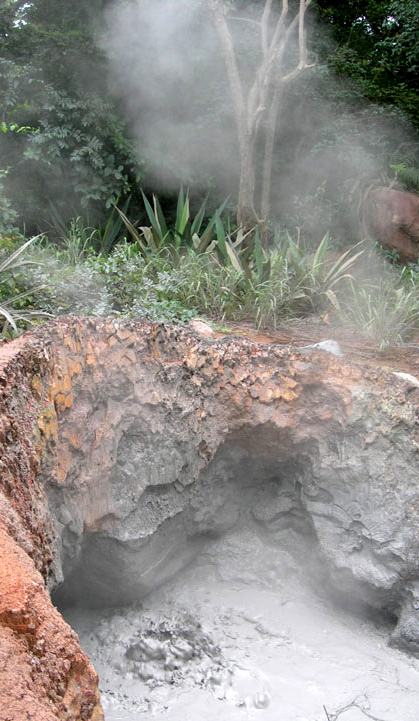 Actually there is an existence of fumaroles and hot springs. It has several lakes of volcanic origin, the most attractive Laguna Barva, 70 meters in diameter, 8.60 meters deep and 11 degree average temperature, surrounded by the lush cloud forest. Also has access to the Laguna Copey, 40 meters in diameter, the water temperature is similar to the Barva lagoon and its maximum depth is unknown. 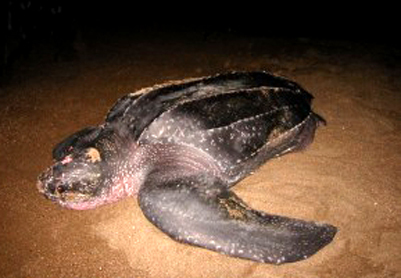 Tortuguero is located on the Caribbean coast, and its beaches are key nesting ground for endangered sea turtles, such as Hawksbill, Loggerheads, Green and Leatherbacks. The rivers within the park are home to sensitive populations of manatees, as well as caimans, crocodiles, and Tropical Gar, which is considered a living fossil. It is the third-most visited park in Costa Rica, despite the fact that it can only be reached by airplane or boat. It has incredible biological variety, due to the existence within the reserve of eleven different habitats, including rainforest, swamps, beaches, and lagoons. 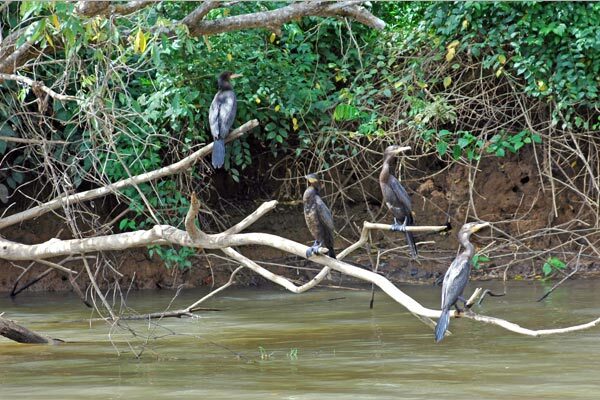 A lot of animal species can be seen, such as otters, caimans, howling monkeys, spider monkeys, toucans, and other birds. 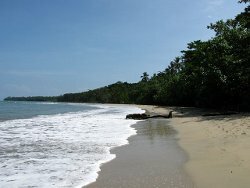 Cahuita National Park: Scenic trails, wild life, coconuts, turquoise blue sea and choral reefs. Cahuita National Park is located in the Tropical Basal Atlantic Region, and you can be sure that any other wild area of the country protects the resources of plants an animal present in this region as this. The park was created to protect the flora and wild life, the choral reef and several sea ecosystems. It also protects beaches and lowlands, and attracts tourists who are able to scuba dive and snorkel in the protected marine area which contains the Coralline Reefs, as well as being a nesting ground for sea turtles. Many coral and fish species are found: 35 species of coral, 140 species of mollusks, 44 species of crustaceans, and 123 species of fish. On land there are many types of animals including coatis, sloths, agoutis, howler and capuchin monkeys and a variety of birds. 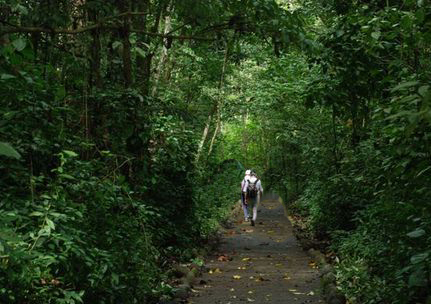 This park is located in the central part of the country, forming the Arenal Tilaran Conservation Area. 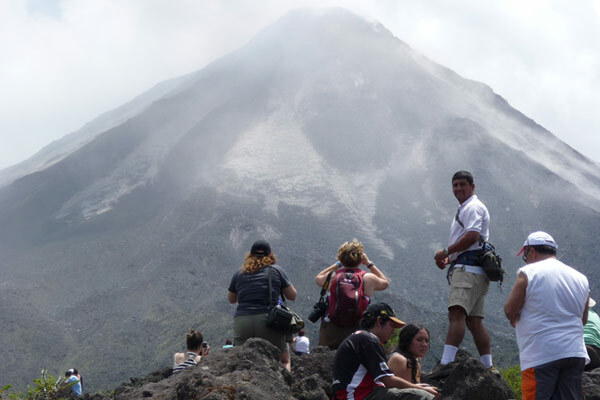 The park encompasses the Arenal Volcano the most active in the country. Close is located Lake Arenal which is the site of the country's largest hydroelectricity project. The park also contains a second volcano, Chato, whose crater contains a lagoon; and it has been inactive for around 3500 years and protects eight of Costa Rica's 12 life zones and 16 protected reserves in the region between the Guanacaste and Tilarán mountain ranges. It is one of the most scenic and one of the most active volcanoes in the world: it makes a small eruption approximately every 45 minutes. 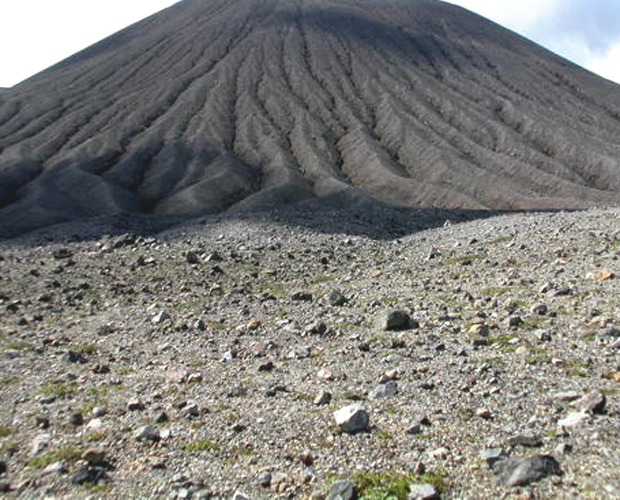 Poás Volcano: One of greatest crater in the world. Poás Volcano National Park is located 37 km northwest of the city of Alajuela and 10 km from the community of Poasito, on the Central Volcanic Mountain Range, province of Alajuela. At an altitude of 2.708 meters above sea level, Poás is an attraction of great natural richness. 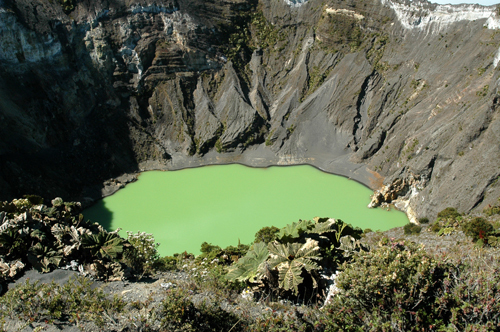 Its main crater is spectacular and is considered one of the greatest in the world. You may also enjoy the Botos Lagoon, the flora and fauna of the cloud forest, hiking through natural trails and the great diversity of landscapes in the cloud and elfin forests. Its fauna is generally scarce; nevertheless, it has an abundant fauna. It is located on the northwest side of the Province of Cartago, county of Oreamuno, on the Irazú massif, which is part of the Conservation Area of the Central Volcanic Mountain Range. 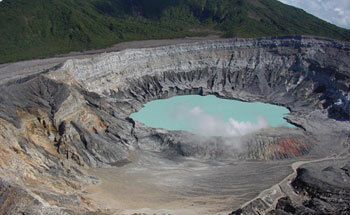 The Irazú is formed by five craters: Main, Diego de la Haya, Playa Hermosa crater, the Lagoon and the Pyroclastic. Around the craters you may observe low vegetation and there are distinguishable species such as the myrtle, poor man’s umbrella and papelillo (senecio oerstedianus). The fauna is scarce, composed of coyotes, rabbits, squirrels, porcupines and different birds such as the volcano junco, acorn carpenter and mountain robin, among others.